← Do Movers Need a License? Does the idea of packing Grandma’s antique china and stowing it away for a 1,500 mile drive on a moving truck make you feel nauseous? If so, it may be a good idea to hand over the task of packing to a moving company. But which movers will pack and unpack for you? And what things should you get them to pack? Get the answers below. Who are Movers That Pack and Unpack? Full service movers pack and unpack. Some full service moving companies include Garrett’s Moving & Storage, as well as larger national companies like Atlas Van Lines. As the name implies, self service movers do not pack and unpack your belongings. They only load your boxes onto their truck, and unload them once you have reached your destination. PODS is a popular self service mover. What Should the Movers Pack? 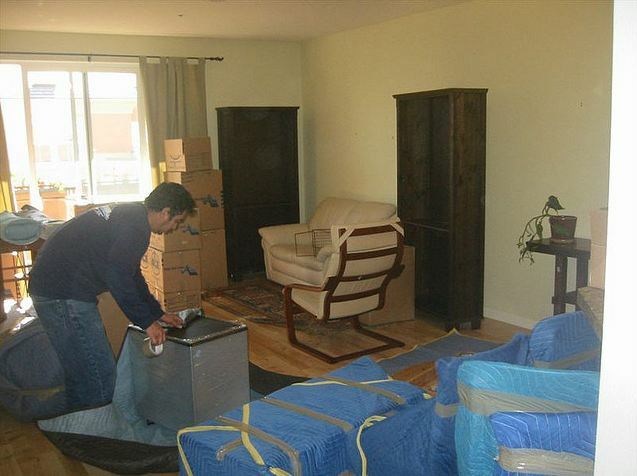 Another thing you will have to decide is if you want your movers to do a Full Pack or a Partial Pack. In other words, do you want to the movers to pack everything in your household or just some things? As you may expect, this decision is usually done by cost. While packing charges vary by mover (We charge $100 per hour for packing by two movers), the cost of having movers pack an entire household is typically prohibitive for most families. The much more common option is to have movers pack only the items that you would have problems moving yourself. Here is a list of the most common items Garrett’s Moving & Storage typically packs for our customers. You should never let your movers move priceless items such as family heirlooms. We would recommend that you pack them yourself and take them with you in the car. Garrett’s Moving & Storage is known for its super careful method of packing. How do we make sure that we avoid the type of damaged item horror stories that you often hear about with other movers? We’ll take furniture packing as an example. Let’s say you need our movers to prepare your desk for a move. Below is how the average moving company would do it versus us. Moving Company A: The movers would pick up the desk and take it outside. As they move the exposed desk through the house, the desk may scrape against the wall or the stairs, damaging it. It is not until they get the desk outside that it is wrapped and put into the truck. 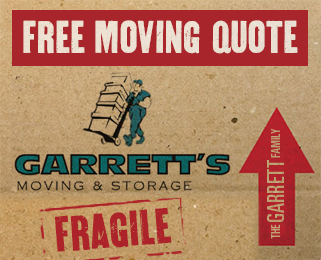 Garrett’s Moving & Storage: Our movers will wrap the desk before picking it up and taking it outside. The desk will be protected from scratching anything on the way out of the house. If you are going to need a mover to pack and unpack a large number of things, which option would you be more comfortable with? If you are looking for movers that pack and unpack, give Garrett’s Moving & Storage a call at 972-487-5843 for a free quote. We have packed and moved thousands of families since 1992. If you would rather get a quote online, click here to fill out our estimate form, and we’ll be in contact with you within the next business day.